In her new video for “Last Friday Night (TGIF),” Katy Perry is having a full-on John Hughes moment. 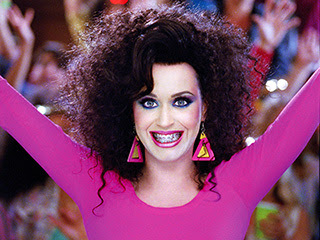 Watch the extended video, which features Perry’s brace-faced nerd-turned-hottie character, Kathy Beth Terry (age 13). 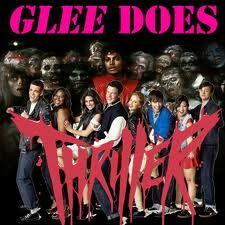 The cast of hit TV musical Glee have paid tribute to Michael Jackson by recreating his iconic “Thriller” video for an upcoming episode. Dianna Agron, Amber Riley and Kevin McHale were among the stars of the popular show who dressed up as zombies for the remake of the pop classic during a late night shoot on a school football field in Los Angeles last Friday (07Jan11). The actors were joined by a marching band as they replicated the dance moves made famous in the 1983 mini-film. The shoot will be part of the Glee Super Bowl episode, which will air after the annual American football championships on 6 February (11). Gwyneth Paltrow is also set to make an appearance on the special.